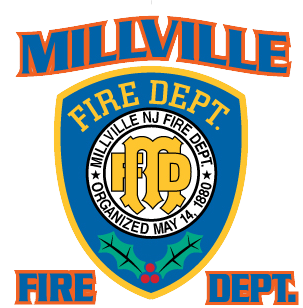 Millville Fire Department » Winter storm WARNING has been issued for Cumberland County…..
Winter storm WARNING has been issued for Cumberland County…..
…WHICH IS IN EFFECT FROM 6 PM THIS EVENING TO NOON EST TUESDAY. THIS WARNING REPLACES THE WINTER STORM WATCH PREVIOUSLY IN EFFECT. * LOCATIONS…ALL OF DELAWARE…MARYLAND’S EASTERN SHORE AND THESOUTHEAST THIRD OF NEW JERSEY INCLUDING WILMINGTON…DOVER AND GEORGETOWN DELAWARE AS WELL AS CAPE MAY AND ATLANTIC CITY NEW JERSEY. * HAZARD TYPES…DANGEROUS COLD THIS MORNING… THEN 4 TO 8 INCHES OF SNOW TONIGHT WHICH WILL END MID OR LATE MORNING TUESDAY. * WIND CHILL VALUES…AS LOW AS 15 TO 20 DEGREES BELOW ZERO. * SNOW ACCUMULATIONS…4 TO 8 INCHES. * TIMING…DANGEROUS WIND CHILL WILL LET UP LATE THIS MORNING.SNOW WILL OVERSPREAD THE AREA BETWEEN 6 PM AND 10 PM AND BE MODERATE TO HEAVY AT TIMES OVERNIGHT THEN TAPER TO FLURRIES SOONAFTER DAYBREAK TUESDAY. 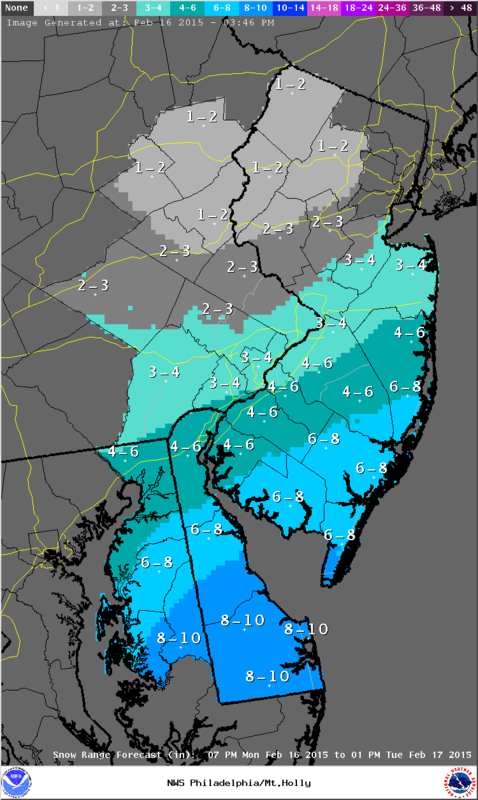 * TEMPERATURES…IN THE TEENS TO LOWER 2OS DURING THE SNOW. * WIND…WILL BE LIGHT TENDING BECOME NORTHERLY 10 TO 20 MPH TUESDAY MORNING. * VISIBILITIES…ONE QUARTER TO ONE HALF MILE AT TIMES BETWEEN 10PM THIS EVENING AND 7 AM TUESDAY. * IMPACTS…THE DANGEROUSLY COLD CONDITIONS MAY LEAD TO FROSTBITEAND HYPOTHERMIA IF PRECAUTIONS ARE NOT TAKEN. THE SNOW TONIGHTWILL CAUSE WIDESPREAD SLIPPERY TRAVEL ON ALL UNTREATED SURFACES.THE TUESDAY MORNING COMMUTE WILL PROBABLY BE SLOWER THAN NORMALAS CLEAN UP EFFORTS ARE UNDERWAY WITH THE SNOW IN THE PROCESS OFWINDING DOWN BY MID MORNING.